If you are two friends travelling together this is the best option. 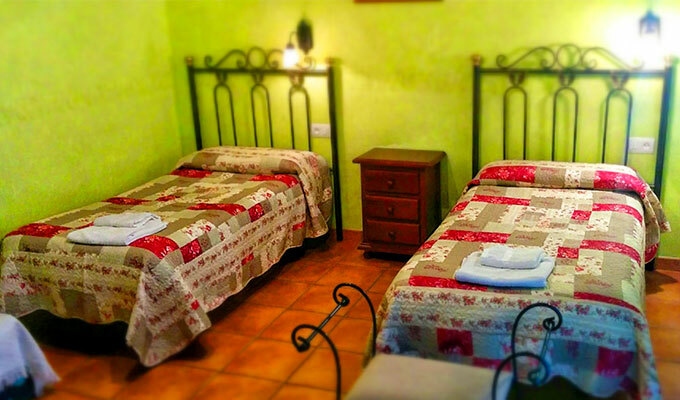 Furnished with two single beds and the possibility of adding a third. All our rooms are very bright and have the same installations (and more in some cases) as any other Hotel, but at a much lower price. If you are two friends travelling together this is the best option. The reservation price (except for Easter week and the month of August) includes breakfast for guests which is served in the Bar. SATURDAY, BRIDGES AND SUMMER IS SOUGHT AS A CARD NO GUARANTEE OF RESERVATION.